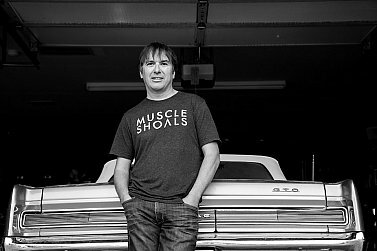 For a small, out of the way town which only had a population of about 8000 back in the Sixties and Seventies, Muscle Shoals in Alabama sure made its mark on the world. 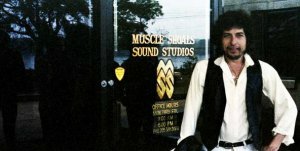 Situated by the Tennessee River and in the crosshairs of the racial divide, Muscle Shoals was home to the famous FAME recording studio founded by Rick Hall where Aretha Franklin, Wilson Pickett, Percy Sledge and dozens of other black artists recorded their most classic songs . . . . with the studio band which was all white. The Swampers, as they were known, had an intuitive feel variously described as sleazy, dirty, slippery and – most often – unique. Many of those session players had apparently been in a band which opened for the Beatles at their first US concert in Washington DC in February '64 (either with Tommy Roe or the Righteous Brothers, it's unclear), but they made their name back in their home state. 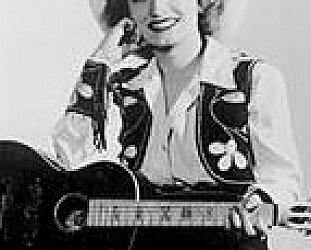 At their core were guitarist Jimmy Johnson, keyboard player Barry Beckett, drummer Roger Hawkins and bassist David Hood (father of Patterson Hood in Drive By Truckers). Later organ player/songwriter Spooner Oldham and songwriter Dan Penn, among others, would become regulars down in Muscle Shoals. 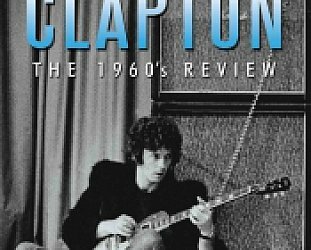 Their sound was so special that many others – the young Duanne Allman, Paul Simon, Lynyrd Skynyrd, the Rolling Stones and later Bob Dylan and Mark Knopfler etc – wanted a part of it. Many of them did their defining music in this small town. 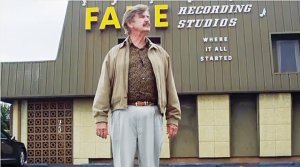 The story of Muscle Shoals however is the story of founder Rick Hall, a man whose life seemed blighted until the hits started coming, and was blighted again when the Swampers left to start their own studio across town at Muscle Shoals Sound Studio at 3614 Jackson Highway. 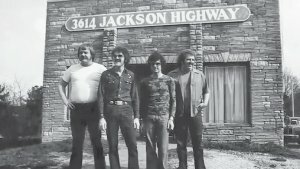 The story of Hall, FAME and Muscle Shoals is told in the DVD doco Muscle Shoals (which Chris Bourke has reviewed here) and that remarkable film – one of the best music docos of recent years – was made on a sudden whim by first-time director Greg Camalier of Boulder, Colorado. Camalier says from his home that he grew up on those classic soul songs and later got into the the Allman Brothers, and while he knew about Muscle Shoals because that's where the music came from, he had no idea of the story which would unfold when he visited there in 2008 and decided to make a film. He had no idea of the schism between Hall and the Swampers. “I was just there on happenstance because I was on a road trip helping my buddy move. So this documentary came about 100 percent by circumstance and chance. He says Hall (right, with Camalier) – now in his 80s and who lost a brother early on, watched his parents separate and his mother become a prostitute – is a tough man and a hard guy to get to know. “Oh yeah, he's very wary and not one to mince words , and not interested in someone doing a mediocre job. So it took a good year and half before he felt, 'These guys know what they are doing'. 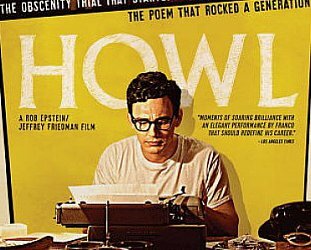 Throughout the film are interviews with many of the artists black and white who went to FAME and 3614, among them Mick Jagger and Keith Richards, Bono, Aretha Franklin, Jimmy Cliff, Wilson Pickett (who was wary when he came down South from New York), Steve Winwood (who recorded there with Traffic) and of course Hall and the Swampers themselves. But of course not Bob Dylan. Camalier says he initially made a six or seven minute show reel (“and never having made a film that gave us the confidence to say, 'This looks okay' “) and “all the musicians we approached know that whole story, but they also know that it hasn't been told”. Contacts came from someone who knew someone and doors were opened. Franklin was very gracious, says Camalier, because she recognised her career had really started when she recorded I Never Loved a Man at FAME. For those of us who haven't been to Muscle Shoals it is hard to imagine what the town with so much musical history might be like: Does the girl who works in the local Dairy Queen or whatever know of the musical history of her hometown? Although when musicians try to speak about the magic of Muscle Shoals they can't put their finger on it, all agree it is quite specific to that place. Yet the sound did travel when the Swampers went to record with Franklin in New York and Hall worked in Los Angeles, notably on the autographical song Patches (sung by Clarence Carter). “True, but you cannot remove the players from that place, although some went up to New York and Rick went out to do things in LA. But it's all intertwined because these guys were all from there and this environment, and their life stories are so embedded together they would be impossible to separate and analyze. “In my opinion it couldn't just pop up anywhere else. Every place has a different sound, even Memphis has a totally different sound, so I'm a firm believer that you can't break it down into Xs and Os. And although there was some attraction in the quietness of the town for big rock stars who rolled into this isolated place, it was always the music which drew them, not the idea of a vacation down South. “Yeah, a lot of the feedback I got from the musicians was that it was real relaxed there, but the first things to draw people there were when they heard those early records and they had an identifiable sound. When they heard it they said, 'Damn, I want that sound'. Camalier laughs when I ask him where people stay – and where did he stay? – in Muscle Shoals. “Now there are a few places, but there were not a lot of options. The first time we went we didn't know where to stay but there was one nice hotel – a really nice Marriott actually – so there were few places . . . but I couldn't name one right now. 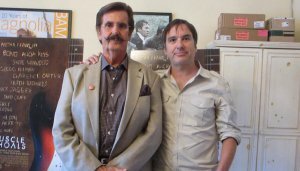 As his film closes there is some rapprochement between Rick Hall and the Swampers when Alicia Keys records a session, but did that come about prior to the filming or did the film instigate that? “That's one of the last pieces we filmed and I wanted to bring them all together and do a track. I did think it would be good for the film, but also a wonderful thing on all fronts. “It's a really small town and Rick would see [various Swampers] around a bunch, but he hadn't seen Roger Hawkins for about seven or eight years until literally that moment on camera. But he'd seen Jimmy and David plenty over the last 30 or 40 years. “These days Rick is still recording at FAME, they've had a whole renaissance there and people are booking studio time and people are recording. And there are tours. People are coming to visit FAME as a destination and they are swamped which is great. “It was tough economically until recently. But you can buy a distillery in Scotland which makes the best single malt whisky in the world, however if you start messing with it and putting in new vats and so on then you lose what made it special. Is there a danger with that and all this new technology in 3614 it will change the sound? 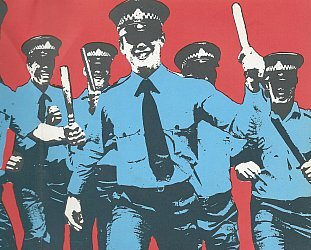 “Well, they are all positives. First is that 3614 was not a functioning studio and it could have gotten bulldozed , although it has a historical marker on it so maybe not that. But there was no music whatsoever coming out of there. So fact that music will be coming out is a good thing. “Also Beats and Apple are great partners, and -- don't quote me on this – I do believe they might be putting analogue equipment in there along with digital. So it's been nothing but a positive thing and they are all super-jazzed. Greg Camalier says he's currently moved on to working on films employing narrative fiction and is batting around some ideas, but expects he'll come back to documentaries at some time. 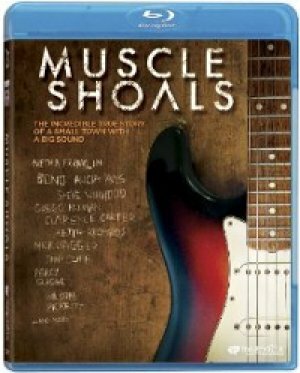 Muscle Shoals by Greg Camalier is available on DVD and Blu-ray in New Zealand through Madman. For a recent triple CD collection of music out of the FAME studio see here.